Dr. Kent B. Lewandrowski received his BA degree from Connecticut College, New London, CT, his MD from the University of Massachusetts Medical School, Worcester MA and his postdoctoral residency training in pathology at the Massachusetts General Hospital, Boston, MA. 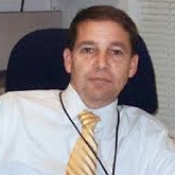 He is Associate Chief of Pathology (Operations) at the Massachusetts General Hospital. Dr. Lewandrowski is responsible for resident training in Clinical Chemistry Management at the Massachusetts General Hospital, and is Co-director for the Harvard Medical School Continuing Education Course: Current Concepts in Clinical Pathology. He received the 2004 Outstanding National Speaker Award from the American Association of Clinical Chemistry His expertise and research interests are in: point-of-care diagnostics, serum cardiac markers, pathology of the pancreas including chemical and histopathologic features of pancreatic neoplasms; pathology of acute experimental pancreatitis. He is the author of the monograph, Clinical Chemistry Laboratory Management and Clinical Correlations and Editor-in-Chief of Point of Care The Journal of Near-Patient Testing & Technology and serves on the Editorial Advisory Board of the journal, Research Advances in Cancer.